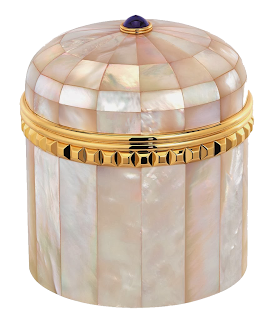 Celebrating exceptional style, craftsmanship and luxury, La Mer collaborates with legendary French jeweller, Boucheron, to create a made-to-order mother-of-pearl jar designed to house the original, coveted Crème de la Mer 3.4 oz. deluxe size. Inspired by both La Mer's and Boucheron's rich heritage, each impeccably crafted jar is embellished with Boucheron's signature gold-plated "Clous de Paris" and finished with a blue cabochon sahpire, evocative of the sea. 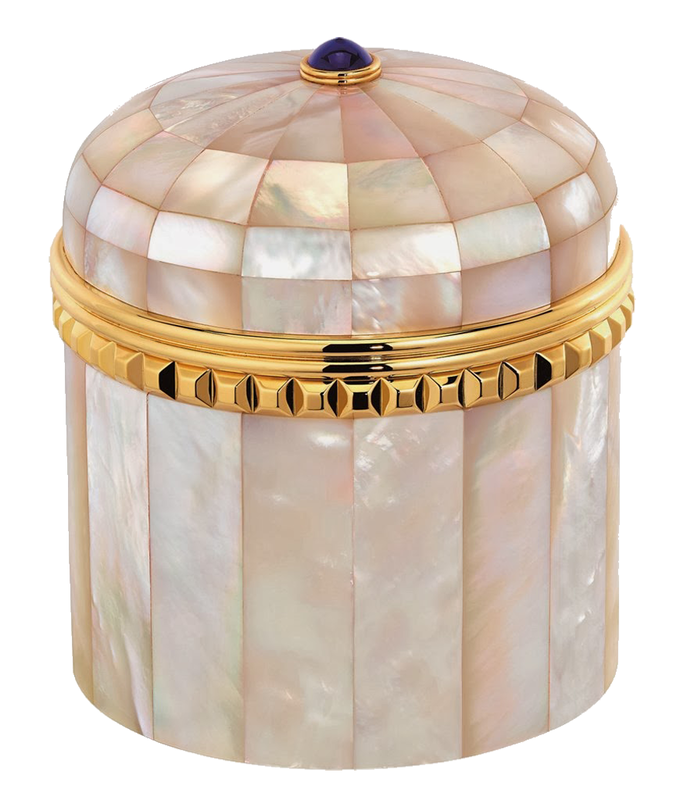 Shop the Boucheron Case with La Mer Crème.